I thought I would change it up a bit and make a card to celebrate the new year. Don't worry, I'll be back to Christmas tomorrow! I fell in love with this Penny Black Adornment Wreath stamp. 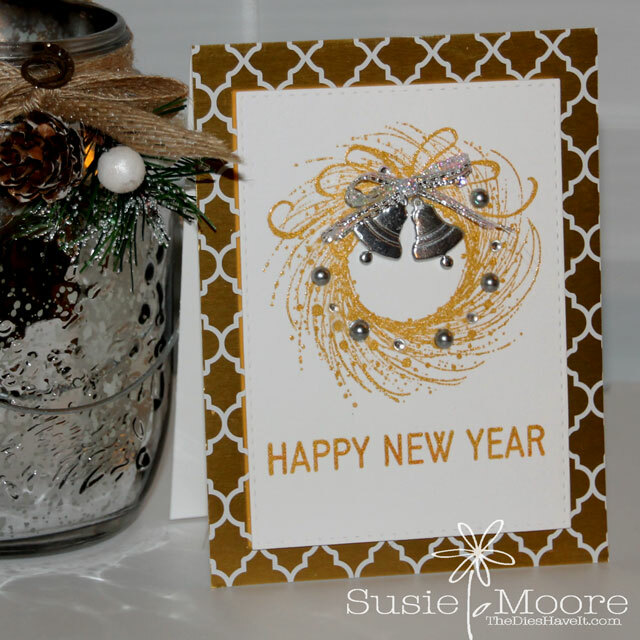 I stamped it in gold and then decorated the wreath with silver bling from Eyelet Outlet. These are the Eyelet Outlet items I used to embellish my card. If you check out the blog today, you will see much more new year inspiration. Be sure to take a look! 2016 will be here before you know it! Stay sweet and I'll see you tomorrow.